What Happens After Death ?? What is death ? Is there life after death ? Is death painful? What happens after death ? How does rebirth happen ? Where do we go after death ? These kind of questions related to the most feared event that ends our life always fill our mind, especially when any of our near or dear ones die. We feel that suddenly the relationship has broken abruptly n wish there could be a connection again. In this quest, our journey to find answers to the above questions begin ... So, what happens after death ? 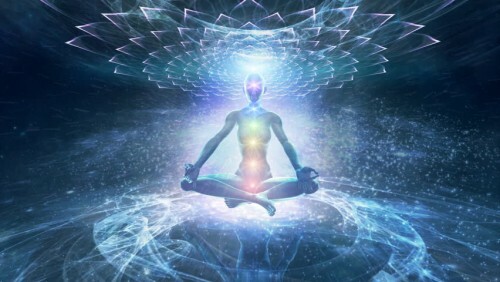 Approximately 4-5 hours before death, the earth sole chakras situated below the feet gets detached ... symbolizing disconnection from the earth plane !! A few hours before an individual dies, their feet turn cold. When the actual time to depart arrives, its said that Yama, the God of death appears to guide the soul. Death severs the astral cord, which is the connection of the soul to the body. Once this cord is cut the soul becomes free of the body n moves up n out of the body. If the soul is attached to the physical body it occupied for this lifetime, it refuses to leave n tries to get into the body n move it n stay in it. We may observe this as a very subtle or slight movement of the face, hand or leg after the person has died. The soul is unable to accept that it is dead. There is still a feeling of being alive. Since the astral cord has been severed, the soul cannot stay here n is pushed upwards n out of the body. There is a pull from above ... a magnetic pull to go up. At this stage the soul hears many voices, all at the dame time. These are the thoughts of all the individuals present in the room. The soul on its part talks to his loved ones like he always did n shouts out "I am not dead" !! but alas, nobody hears him. Slowly n steadily the soul realizes that it is dead n there is no way back n at this stage, the soul is floating at approx 12 feet or at the height of the ceiling, seeing n hearing everything happening around. Generally the soul floats around the body till it is cremated. So, the next time if you see a body being carried for cremation, be informed that the soul is also part of the procession seeing, hearing n witnessing everything n everyone. Once the cremation is complete, the soul is convinced that the main essence of its survival on earth is lost n the body it occupied for so many years has merged into the five elements. The soul experiences complete freedom, the boundaries it had while being in the body are gone n it can travel anywhere by mere thought. For 7 days the soul, moves about its places of interest like its favorite joint, morning walk garden, office, etc..If the soul is possessive of his money, it will just stay near his cupboard, or if he is possessive of his children, it will just be in their room, clinging on to them. 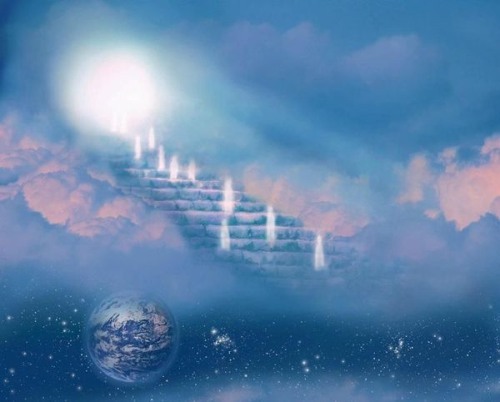 By the end of the 7th day, the soul says bye to his family n moves further upwards to the periphery of the earth plane to cross over to the other side. Its said that there is a big tunnel here which it has to cross before reaching the astral plane. Hence its said that the first 12 days after death are extremely crucial. *we have to carry out the rituals correctly n pray n ask forgiveness from the soul* so that it does not carry negative emotions like hurt, hatred, anger, etc atleast from the near n dear ones. All the rituals, prayers n positive energy act like food for the soul which will help it in its onward journey. At the end of the tunnel is a huge bright light signifying the entry into the astral world. There is no judge, there is no God here. The soul judges himself, the way he judged others in his lifetime. He asks for revenge for people who troubled him in that life, he experiences guilt for all wrongdoings he did to people n asks for self punishment to learn that lesson. Since the soul is not bound by the body n the ego, the final judgment becomes the basis of the next lifetime. Based on this, a complete life structure is created by the soul himself, called the blue print. All the incidents to be faced, all problems to be faced, all challenges to be overcome are written in this agreement. In fact the soul chooses all the minute details like age, person n circumstances for all incidents to be experienced. Example : An individual had severe headache in his present birth, nothing helped him, no medicines, no way out. In a session of past life regression, he saw himself killing his neighbour in a previous birth by smashing his head with a huge stone. In the life review, when he saw this he became very guilty n asked for the same pain to be experienced by him by way of a never ending headache in this life. This is the way we judge ourselves n in guilt ask for punishment. The amount of guilt in the soul decides the severity of the punishment n level of suffering. Hence forgiveness is very vital. We must forgive n seek forgiveness !! Clear your thoughts n emotions, as we carry them forward to the other side too. Once this review is done n our blue print for the next life is formed, then there is a cooling period. We are born depending on what we have asked for in the agreement. The cooling off period also depends on our urgency to evolve. We choose our parents n enter the mothers womb either at the time of egg formation or during the 4-5th month or sometimes even at the last moment just before birth. The universe is so perfect ,so beautifully designed that the time n place of birth constitutes our horoscope, which actually is a blue print of this life. Most of us think that our stars are bad n we are unlucky but in actuality, they just mirror your agreement. Once we are reborn, for around 40 days the baby remembers its past life n laughs n cries by itself without anyone forcing it to. The memory of the past life is completely cut after this n we experience life as though we did not exist in the past. Its here that we are completely in the earth plane n the contract comes into full effect. We then blame God/ people for our difficult situations n curse God for giving us such a difficult life ... So, the next time before pointing to the Divine, understand that our circumstances are just helping us complete n honor our agreement, which is fully n completely written by us. Whatever we have asked for n pre decided is exactly what we receive !! Friends, relatives, foes, parents, spouses all have been selected by us in the blue print n come in our lives based on this agreement. They are just playing their parts n are merely actors in this film written, produced n directed by us !! No comments yet, why could not you post one!